Dance like there's no tomorrow! This mod is released ONLY on Nexus. If you see it on other pages it's probably stolen. 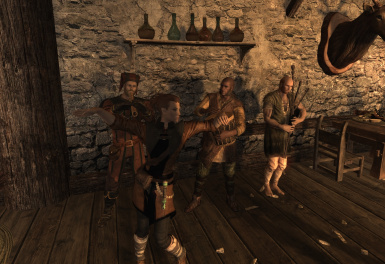 Simple mod that allows you to dance, whenever you feel like it. If you dance long enough, you will even get a small rhetoric boost(but if you stop and start again, the timer will reset, keep that in mind). The mod adds a power called "Dance". To exit, press "Jump" button. To change a dance style. press "Activate" button. That's about it.